Trump and Italy feature among our new tours as populist movements are on the rise in Europe in the US. We’ve also added Georgia and South Korea to look at relations with the North. 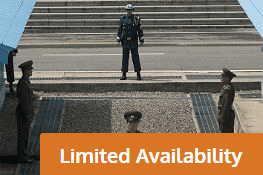 Cuba, Russia, Israel and Palestine both continue to feature among our most popular tours. Don’t forget we run tailor-made and private tours to pretty much anywhere in the world so long as it is safe! Just contact us or call 0843 289 2349 and ask to speak to Nicholas or Karen. We take you on incredible journeys, engage with people, meet politicians, and debate with the experts. Ask your own questions and make up your own mind. A Political Tour will open up travel in a way you’d never expect. 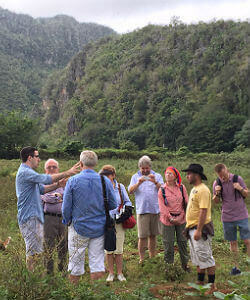 Read on for what our customers and the press say about our tours. In April we head to Korea and the DMZ. In June we are back in the US to look at Trump. Russia is there as a perenial favorite among PT customers and in September we go back to Israel and Palestine as well as Jordan. Former BBC correspondent Rob Parson leads a new tour in Georgia in October. 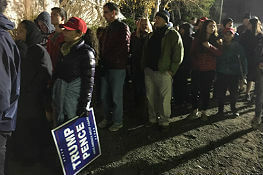 We are also planning ahead to our US election tour in November 2020. Contact us for details. If you have an enquiry about any of our tours or a question that has not been answered on our website just ask and we’ll call or email you back. A different kind of travel A Political Tour really gets you under the skin of a country. You meet dozens of speakers, politicians and ordinary people and visit extraordinary places. You get to ask your own questions and make up your own mind with an expert alongside you leading the way. It really is more like experiencing a documentary film than going on a typical group tour. Our groups really are small with never more than 14 people (most groups average around 9-10). You get to engage face to face with people, as well as the experts, providing for a more intimate travel experience. 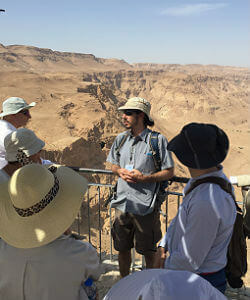 Our tour experts accompany groups throughout. Fellow Travellers We attract a wide range of customers with more than half coming from Australia, New Zealand and the US in addition to travellers from the UK and Europe. 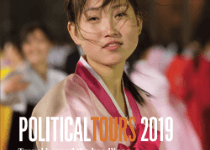 Many would not normally join a group tour but find that Political Tours enables them to see the world in a way they never could by themselves. You don’t need to be an expert in politics or foreign affairs to join us. Most customers are not. Everyone has an enquiring mind. And we provide useful reading lists if you want to know more about a place before you travel. We plan and execute all our tours Unlike many travel companies we don’t rely on destination management companies to do our work. We explore, research and set up all our own tours. Most meals are included as well as all local transport and stays in centrally located hotels. 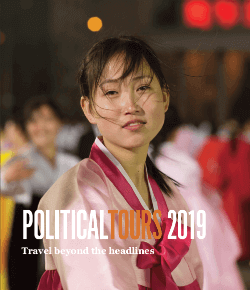 And with all of the things we pack into each journey – research, guidance, meetings and different places we visit – regular Political Tours customers say we are great value for money. 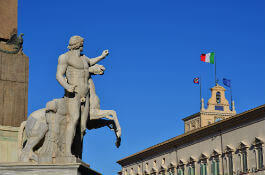 Political Tours also arranges Day Tours with experts around the world. 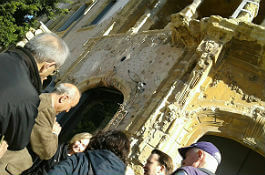 We can also create a private group tour tailored to your own requirements. This could be for a group of friends, or a business, school, university or institution.